Thomas Jackson had his last day as a clerk at the Belfast branch of the Bank of Ireland on Wednesday August 30th, and this letter was written three days later on Friday. Note: I have formatted this with paragraph breaks for easier reading. 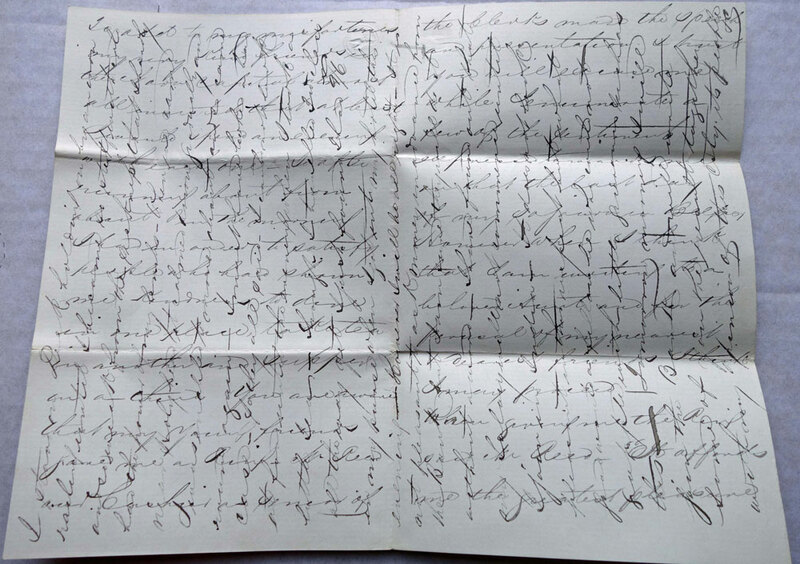 As with so many of the early family letters, this transcription is made possible thanks to Christine Wright sharing the original with me. You see by the above that I have at last got to the Capital and as I had not time to write to you before I left Belfast I will now attempt to give you a little history of my proceedings. He put into my hands the following Letter - copy Bk of Ireland Belfast My dear Jackson, As your [connexion] NOTE: The rest of the letter of recommendation is included in my web site: August 30, 1864. NOTE: The 2nd section of the letter was written overtop and at 90o to the first part. I have found out that any salary will not commence until I join in India – It does not look pleasant in this respect but what good would a fellow be who could not grapple with little grievances such as this. 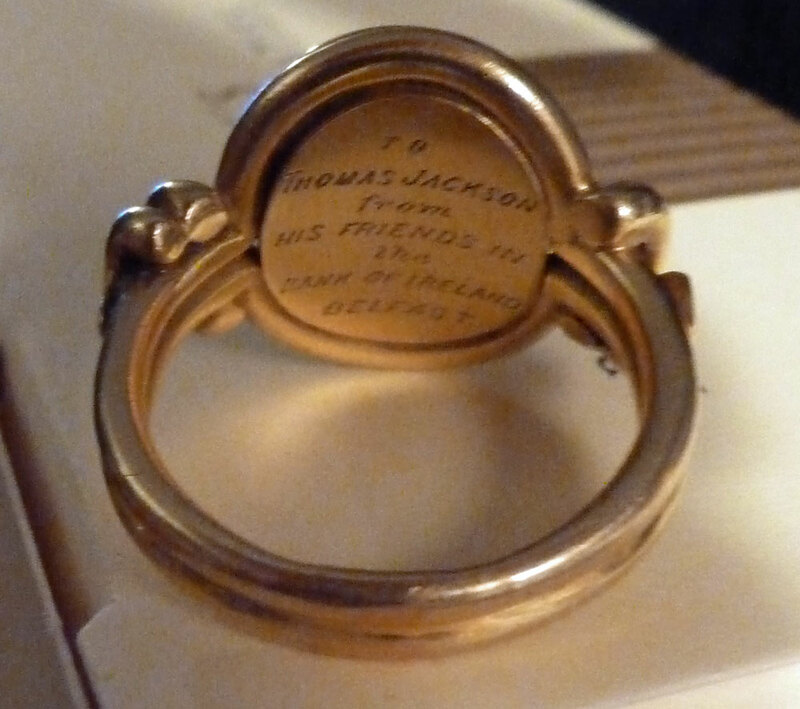 This ring mentioned in the letter is in the collection of one of his descendants, Thomas Bowman-Vaughan. 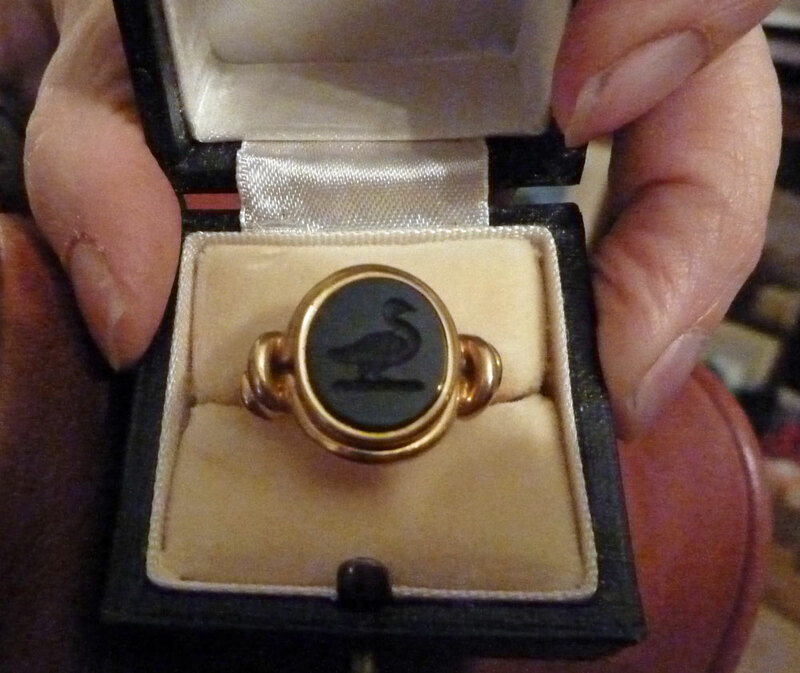 Of interest is that the seal is that of a sheldrake – the same bird that would be incorporated into the coat of arms that he was awarded when he was made a baronet several decades later. Williamsons Tavern stands on the site of Sir John Fastolfe’s house – the knight whom Shakespeare unfairly caricatured as Falstaff. The existing building dates in part from the late 17th century, although greatly rebuilt after the war, and has been known since 1753 when Robert Williamson made it a hotel. Dan Cruikshank in London Walks: 30 London Walks by London Writers. p116. There is a lovely blog written about it by Heather Shimmin. This Aunt is not an aunt of Thomas Jackson, but a great-aunt: Barbara DONALDSON née BRADFORD (1783-1865). Her husband, William DONALDSON (1768-1815) was the leading United Irishman in south Armagh during the late 1700s. For more detail about her see the footnotes in an earlier letter: September 23, 1863. Henry K. REID. I suspect that his middle name may have been “Kennedy”. I do not know if he was related to several other REIDs in banking.